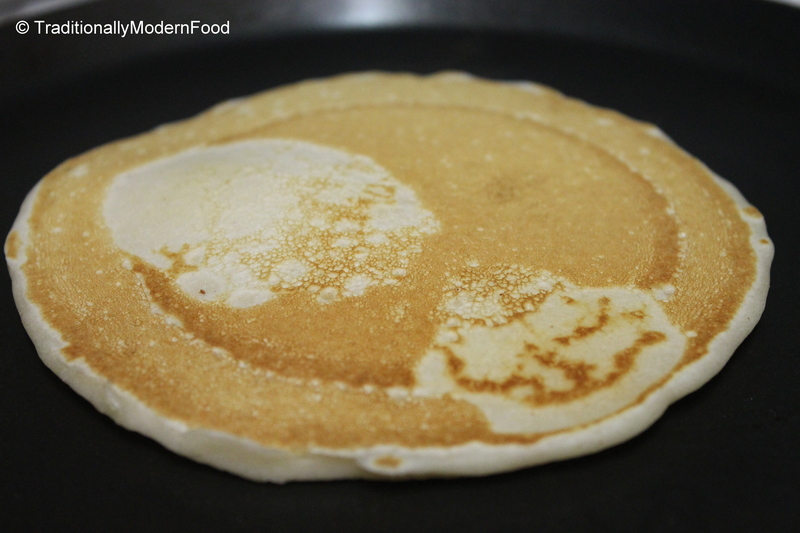 Couple of months ago, I had posted Eggless Pancake using All purpose flour. Pancake has become my son’s favorite breakfast. As a healthy alternative, I tried with whole wheat. Luckily he didnt find different in taste and enjoyed them with maple syrup. 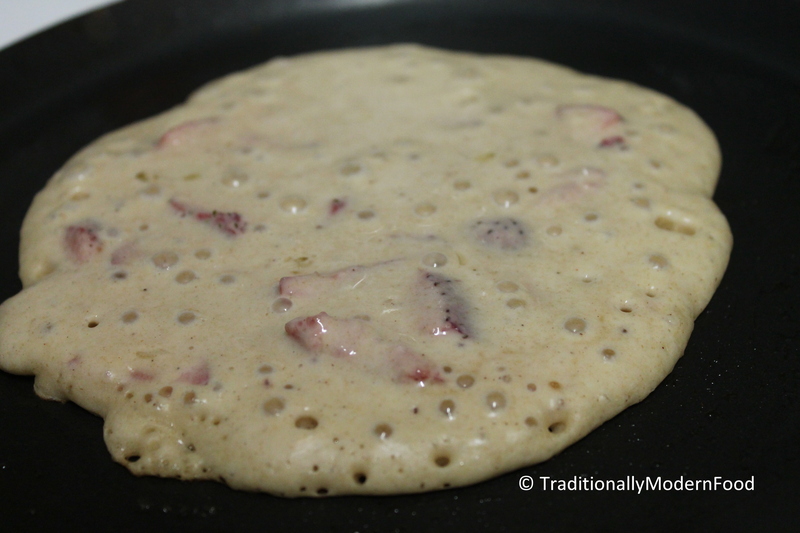 Had few strawberries in the fridge, so added them, and the fruit gave nice flavour to the pancakes. We enjoyed these Soft and fluffy Eggless Pancake for breakfast. This great way to include fruits in kids diet. Now a days my stared asking for pancake even for dinner. At times instead of making a small batch for him. I prepare entire measurement make all pancake and freeze it for next day breakfast. I love pancakes and am eyeing the syrup you are pouring so generously! Thanks for this recipe. Was looking for the eggless version of the pancake. Will try this one. Yum, cravings! yum! these look lovely 🙂 Glad all is well on your end! Perfectly coloured pancakes!!! and they are healthy too..Great! Nice vidhya .. Does this taste similar to vella dhosai ..
what happened madam… too much of gap in between.. busy? My daughter would love these she loves strawberries and pancakes, so sounds like a perfect combination, must try. I’m allergic to eggs — so thank you! <3 These look light, fluffy, and wonderful. These looks so fluffy and delicious! Pancake looks so beautiful and delicious Vidya!